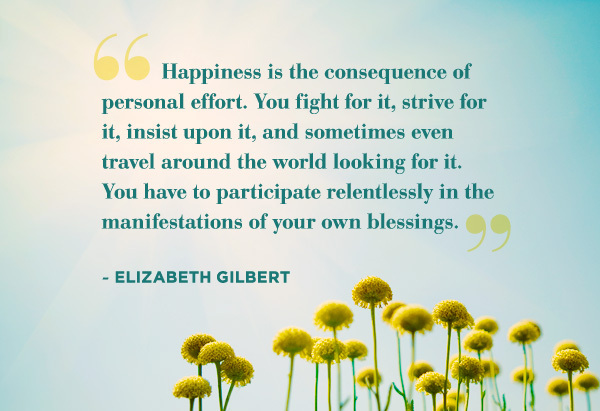 See the gallery for quotes by Elizabeth Gilbert. You can to use those 7 images of quotes as a desktop wallpapers. Absolute certainty is not something I strive for anymore. I've learned the hard way that destiny usually looks upon our most strident convictions with amusement, or perhaps even pity. But when it comes to writing the thing that I've sort of been thinking about lately, is why? You know, is it rational? Is it logical that anybody should be expected to be afraid of the work that they feel they were put on this Earth to do. I should just put it bluntly, because we're all sort of friends here now - it's exceedingly likely that my greatest success is behind me. Oh, so Jesus, what a thought! You know that's the kind of thought that could lead a person to start drinking gin at nine o'clock in the morning, and I don't want to go there. 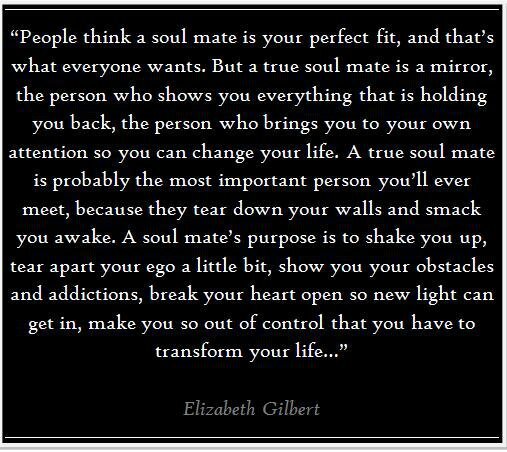 Sanity and clarity are more important for me and I'm willing to give up a lot of shimmer for it. I'm willing to have more boring friends, who are sane. 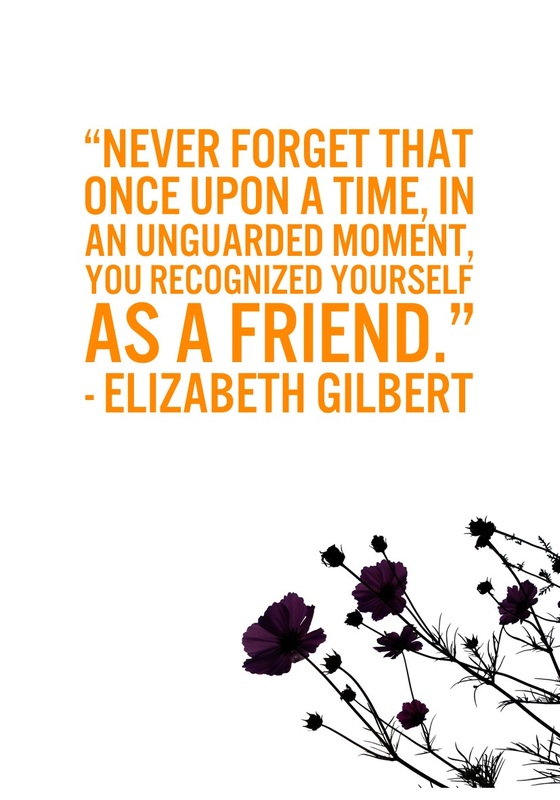 Unfenced by law, the unmarried lover can quit a bad relationship at any time. But you - the legally married person who wants to escape doomed love - may soon discover that a significant portion of your marriage contract belongs to the State, and that it sometimes takes a very long while for the State to grant you your leave. Despite having written five books, I worry that I have not written the right kinds of books, or that perhaps I have dedicated too much of my life to writing, and have therefore neglected other aspects of my being. I consider a good dinner party at our house to be where people drink and eat more than they're meant to. My husband is a really fantastic cook. His mother is Italian and if you walk into our house, we assume you're starving. 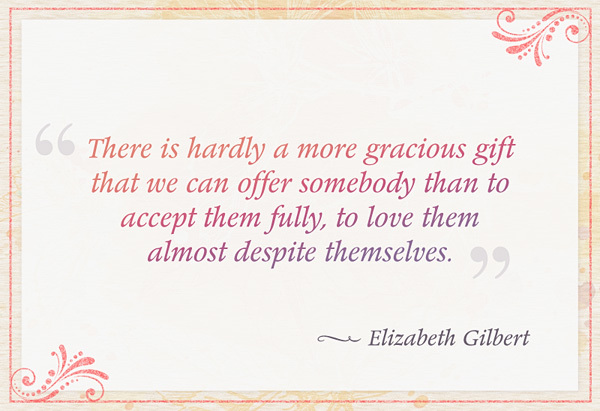 Much more quotes by Elizabeth Gilbert below the page. I used to say, 'Man, I think I'd be a really good dad. I'll be a great provider. I'm funny; I'll go on trips with them - I'll do all sorts of stuff.' But the momming? I'm not made for that. I have a really good mom; I know what she put into it. I've always considered myself lucky that I do not have many passions. 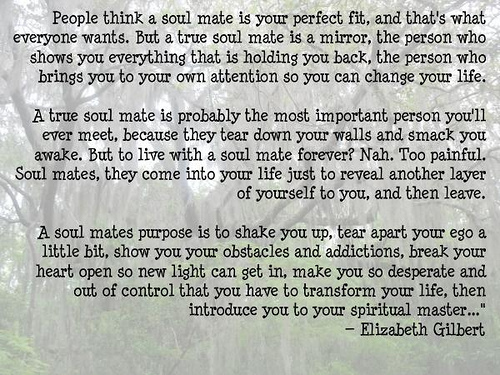 There's only one pursuit that I have ever truly loved, and that pursuit is writing. This means, conveniently enough, that I never had to search for my destiny; I only had to obey it. My husband is not American. He was born in Brazil, where he grew up under a filthy, corrupt dictatorship. In his twenties, he moved to Europe, where he lived for a while under various socialist democracies. He spent a few years on a kibbutz in Israel, living out a utopian experiment in communal existence. When I look at my life and the lives of my female friends these days - with our dizzying number of opportunities and talents - I sometimes feel as though we are all mice in a giant experimental maze, scurrying around frantically, trying to find our way through. When somebody has an enormous success in this culture, people start asking two questions, which are 'What are you doing now?' and 'How are you going to beat that?' And I have to say, I love the assumption that your intention is to beat yourself constantly - that you're in battle against yourself. You know, even I have had work or ideas come through me from a source that I honestly cannot identify. And what is that thing? And how are we to relate to it in a way that will not make us lose our minds, but, in fact, might actually keep us sane? 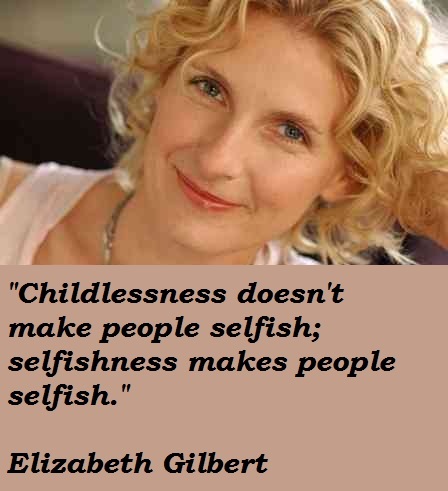 Childlessness doesn't make people selfish; selfishness makes people selfish. I'm a pleaser. That's my character. If I could read while I was driving, showering, socializing or sleeping, I would do it. I was a bartender for a long time, so I know how to make drinks, but I'm more likely to offer them than to have them. I think this is one of the reasons why I get to live longer than my great-grandmother did, and why I get to produce more writing than she did, and why my marriage isn't in dire straits. What I think is amazing is not that 85% of people who get married under the age of 25 get divorced, it's that 15% of them stay together. How did they manage to pull that off? You almost can't wait too long. It's the single simplest measure to predict divorce. 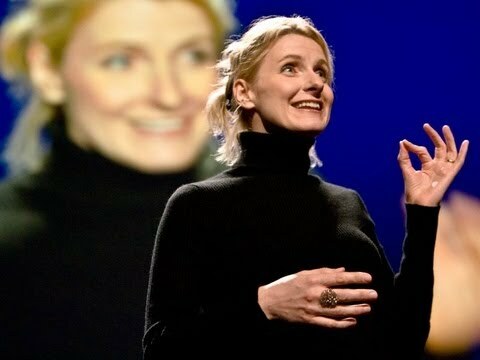 I was a writer before 'Eat, Pray, Love,' and I'll be a writer after it's over. It's what I want to do for the rest of my life. I've come to realize that the contemporary creative culture is not generating the best possible outcome.